A convenient way to keep headphones or other objects within reach. 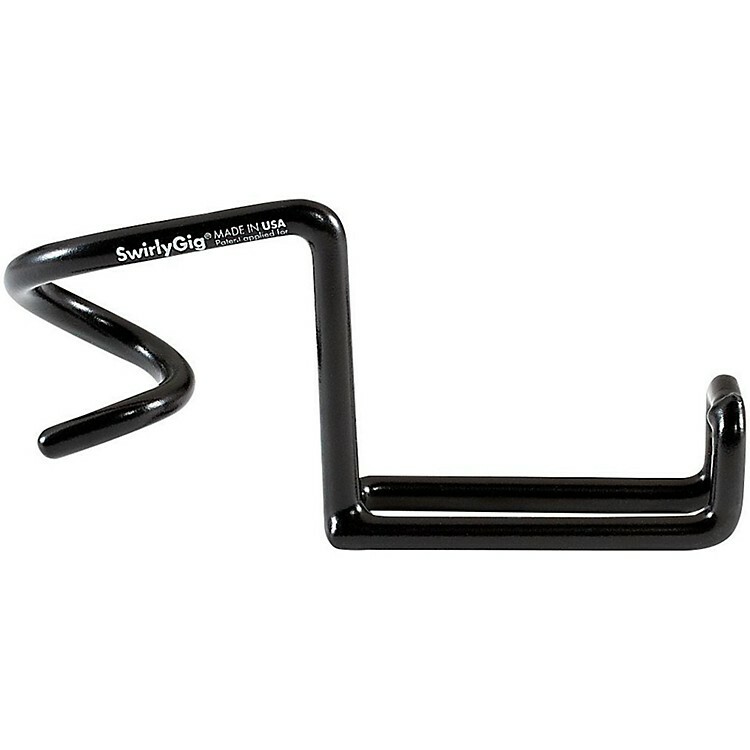 The SwirlyHook II headphone holder was designed to fit on 1-inch tubing (which is about the size of a quarter) and fits snuggly, using only friction and gravity, on a standard music stand or drum hardware. The SwirlyHook is the perfect spot to put headphones, tambourines, cables and towels. The hook portion is about 2-1/2 inches long so its plenty big to hold what needs holding. Its made out of sturdy and resilient steel then coated with a black PVC coating for grip, durability and protection. Try them on music stands, shelving, drum hardware, lighting stands or any 1-inch vertical tubing. Made in the USA. Keep your setup tight on stage or in studio. Order today.